Almonds are a Rosacea family in the Amygdalus subenus and the genus Prunus. They originated in the Levant region of the Middle East and have since been used worldwide in healing and culinary applications. There are two types of commercially grown almonds, bitter almonds or Amygdalus communis and sweet almonds or Prunus amygdalus dulcis. Almond oil has several important nutrients including polyunsaturated and mono fatty acids as well as vitamins E, D, B1, B2, B6 and A. These are all helpful nutrients that allow you to grow strong, healthy hair strands. 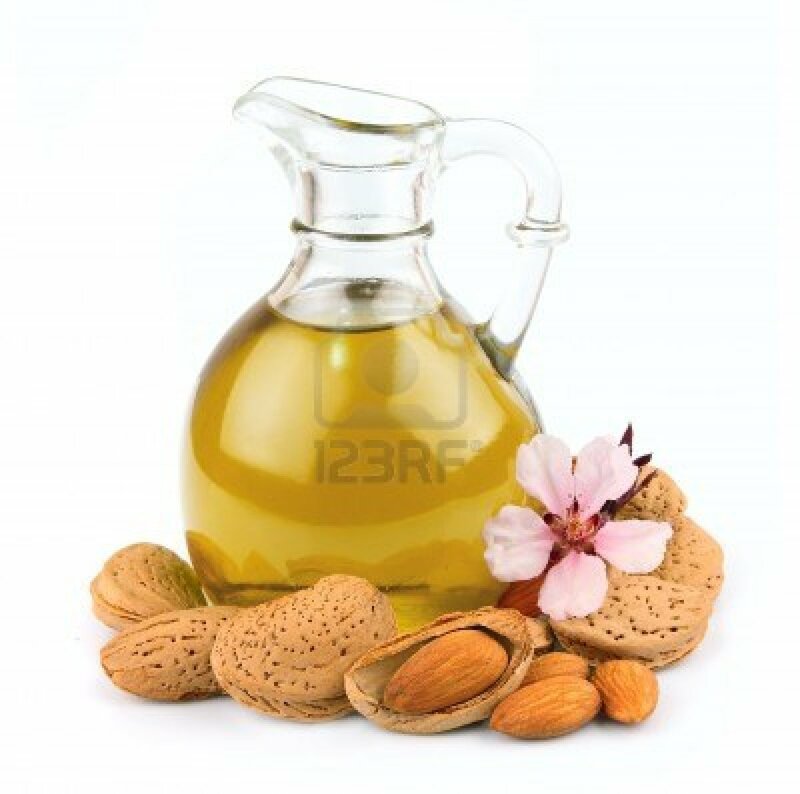 The high vitamin E content in almond oil is particularly helpful for conditioning the hair. Sweet almond oils can safely be used to in aroma therapy to carry these oils with no side effects. This is helpful in conditioning the hair and skin. Many hair care products will add almond oil because of the nourishing and smoothing benefits it provides the hair cuticles, allowing people to grow thick, long, strong hair. It can be used to make your hair shinier. You can also mix almond oil with tea tree or neem oil and massage it into the scalp to increase circulation and relieve dandruff. Regularly massaging a combination of almond, rosemary and lavender oil in the hair can help reduce the amount of hair that falls out each day. Massage the oil into your scalp for 15-20 minutes, then massage a bit into the hair. Allow the almond oil to sit for at least 45 minutes, but you can also leave it in overnight. After it has been allowed to sit, rinse it away with your regular shampoo. Combine 3 tablespoons of almond oil in a bowl with a torn hibiscus flower and three tablespoons of castor oil. Warm the mixture slightly and apply it to the scalp and massage it in for 10 minutes. Wrap your head in a towel and leave the mixture in place for an hour. Then wash the oil away with shampoo. Repeat this ritual twice a week for a few months to see thicker hair start to grow. Rub a few drops of almond oil on your palms and apply it to the hair to make your hair look more lustrous. This is particularly helpful for curly hair. Those that suffer from split ends can massage it into the hair to help keep your hair from splitting. Create a thick paste with water and herbal henna powder and allow it to sit overnight. The next day add an egg and three tablespoons of sweet almond oil into the mixture and allow it to sit for 10 minutes. You can also add a few drops of lavender oil if you find the smell of the egg unpleasant. Apply the mixture to your hair and allow it to sit on the hair for an hour then wash it off with cool water. Towel your hair and allow it to dry. Add an additional dose of almond oil to your scalp and leave it in place overnight before shampooing your hair again. This will give your hair a silk appearance with a hint of red. It is recommended to take on this process on the weekend as it takes a long time to complete. Make an effort to purchase certified organic almond oil. Check the ingredients to ensure you are purchasing a genuine product. Genuine, 100 percent almond oil should be slightly thick compared to cheaper products. If you purchase a fresh bottle you can keep your oil for up to a year, though some manufacturers claim that it will last for up to 3 years. Genuine almond oil should not be particularly expensive, often around $6 for an 8 ounce bottle.